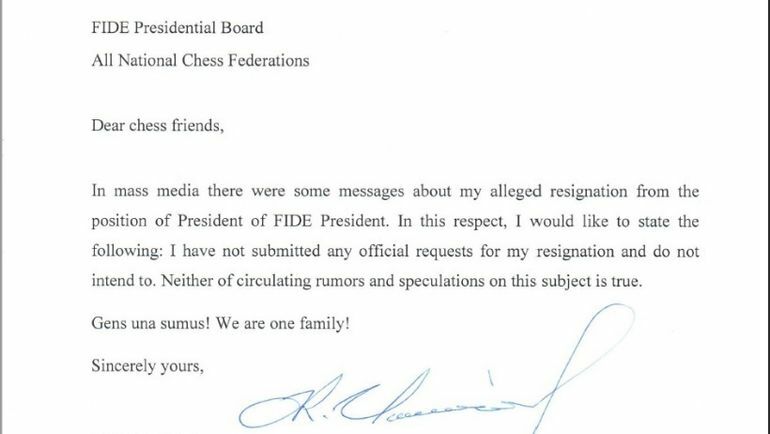 Yesterday FIDE posted a news item announcing Kirsan Ilyumzhinov’s resignation from the post of FIDE President. At the end of the Board meeting held in Athens, Greece on the 26th March 2017, Mr Kirsan Ilyumzhinov announced his resignation from the position of FIDE President. The Presidential Board has been formally advised of this announcement and an extraordinary board meeting has been called in April. Shortly after, Kirsan Ilyumzhinov told TASS that he never submitted any resignation despite earlier media reports. “I believe the Americans are behind this escapade and it looks like a set-up,” the long-time FIDE chief added. FIDE had no further comment. 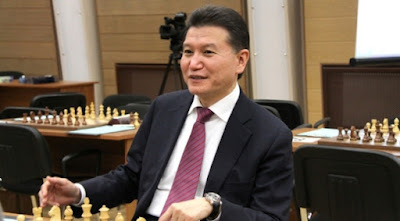 Russian Chess Federation also has a statement from Mr. Ilyumzhinov. Due to the US sanctions, in December 2015 Kirsan Ilyumzhinov passed the authority of FIDE President to Deputy President Georgios Makropoulos.